David and Muriel in Hyde Park contacted me. They were distressed by a flyer that had appeared in their letterbox overnight. It was about an 11 storey development proposed next door to them. I explained that it was a cruel hoax and was being circulated to influence the election. It is a a nasty red coloured leaflet being circulated across Unley. It contains blatant lies and is whipping up hysteria about an 11 storey development to be built 'next door to you’. It’s very amateurish and has a ‘how to vote’ showing a preference for Michael Hewitson. The gossip on the street is about who actually funded it To me, it’s clear who funded it. It’s in very poor taste. Just ignore it. Unley Council zoned the property opposite the Cremorne Hotel as 5 storey. I would have preferred 3-4 storey to protect the heritage and character. Yet the State Government (both Labor and Liberal) approved 7 storey developments. Vote for a Mayor to fight these horror high rises. 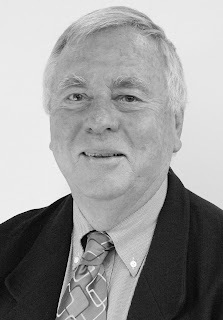 VOTE 1 BOB SCHNELL #Mayor4Unley Vote to protect the character of our city. Don’t waste your vote! Today I met with Unley resident Julie outside the Unley Shopping Centre. We talked about myBack to Basics proposals listed on my election flyer. She liked my ideas of re-focusing on fixing issues in our streets eg. street trees, verge planting, trip hazards on the brick paving, street lights, weed control, street and footpath sweeping etc. - rather than ongoing spending on many (far too many) high cost projects. Julie agreed that we need to get back to basics. However, what impressed her most the fact that I was walking across Unley's suburbs and hand delivering my flyers via letterbox. She commented that a lot of election material was being distributed via junk mail, wrapped inside Coles and Woolworths catalogues. She liked my personal touch. She felt that my black and white flyers showed a more personal touch and was more environmentally friendly. It was pleasing to get feedback, especially about not having glossy colour brochures. There's no need to mark any other box. I suggest that you don't follow the recommended How to Vote preferences of the other 2 candidates, Dario Centrella and Michael Hewitson. They have teamed-up with a preference swap. if you vote for Dario, then you will probably get Hewitsonif you vote for Hewitson, then you might get DarioYou can't be sure of the outcome. BOB ticks all of these boxes and he has 67% more experience than Michael Hewitson. The other candidate Dario Centrella has zero experience. Vote 1 BOB SCHNELL #Mayor4Unley Your best choice (by far)! 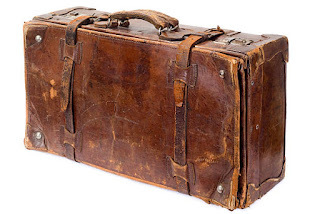 As a candidate for Mayor of Unley, I bring no baggage. Absolutely zero. I owe no favours. I have no debt. I have no business connections in Unley. I am not a member of any political party. Never have been. I am truly Independent. I speak my mind and tell it as it is. I don’t chase crazy and loopy ideas. I am the candidate with common sense. Your best choice (by far)!! Yesterday I was out door knocking along Arthur Street, Unley. On the street I met Molly walking her dog Snuffles. We had a chat about local issues. Then she said that I looked a lot younger than the photo on my election flyer. That made me feel good. I explained that I wasn't the youngest candidate for Mayor and I wasn't the oldest. I sit comfortably between the age range of the other 2 candidates. I explained to Molly that I have the most Council experience; 67% more than Michael Hewitson whilst the other candidate Dario Centrella has zero experience. FYI Michael and Dario have done a preference swap deal, giving the other second preference. Be wary, be very wary! If you vote for either Michael or Dario then you could end up with the other person as Mayor. You won't be sure of the outcome due to the preferences. Vote for a candidate with common sense. Vote for a candidate with the most experience. I am receiving a lot of feedback about the Michael Hewitson corflutes on stobie poles across #Unley. People are curious and confused about the message 'WATER ON TAP'. They are asking what it means. Just like the residents, I am confused; totally confused. To me its all a bit weird. If anyone can shed any light, then let me know. When voting for Mayor of Unley, don't waste your vote. Make your vote count. Vote 1 BOB SCHNELL #Mayor4Unley Your best choice!! Photo of Michael Hewitson corflute on a stobie pole - cropped to fit. I led the war on waste at #Unley Council. I moved a motion to ban plastic straws at Council venues. I also moved a motion to investigate the best way to eliminate the use of plastic bottles of water at Council venues. I led this campaign and will continue to do so as #Mayor. One of the mayoral candidates, Michael Hewitson, commended my stance on plastic straws. Recently he has become an anti-plastic convert at Council. Yet, he is putting up 100s of plastic corflute posters on stobie poles across the suburbs. Google research reveals that these corflutes will not be recycled and will go to landfill. 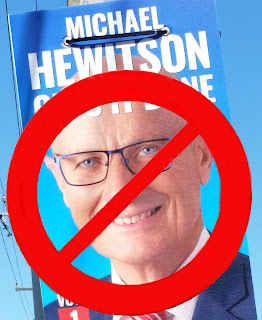 So, I find it interesting that the Hewitson anti-plastic rhetoric does not match what he is doing by consuming so much plastic to display his face on stobie poles. His corflutes will take ~500 years to break-down. 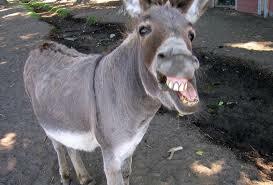 When voting for #Mayor of #Unley, do not do the donkey vote. What is a donkey vote? It’s when you blindly vote 1,2,3 ... from the top down. What is a donkey vote? Ensure that you carefully select the best person to be Mayor of Unley. Select the person with the most experience, integrity and common sense. Your best choice is BOB SCHNELL. Vote 1 BOB SCHNELL #Mayor4Unley Don’t waste your vote! Don’t do a donkey vote!! Make your vote count. With the Unley Council election some candidates will give a preference to another person eg. by marking 1 and 2 on How to Vote information. What this means is that if you are not successful then you wish the candidate marked 2 to be the next preferred person. I have been informed via email from Dario Centrella that he and Michael Hewitson have swapped preferences for Mayor. That means that if you blindly follow the How to Vote of these 2 Mayoral candidates then you could get Dario or Michael as Mayor. I don’t support giving a preference. In fact, on merit, I would find it difficult to pick one. So, I won’t be indicating a second preference. It’s not my place. I believe that it should be left to you, the voter to decide. My stance is simply common sense. Vote 1 BOB SCHNELL #Mayor4Unley Your best choice! Don’t waste your vote! !